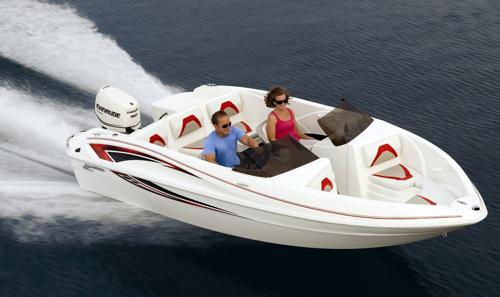 Rec Boat Holdings is growing the Glastron model line by leaps and bounds - here's what's new for 2014. 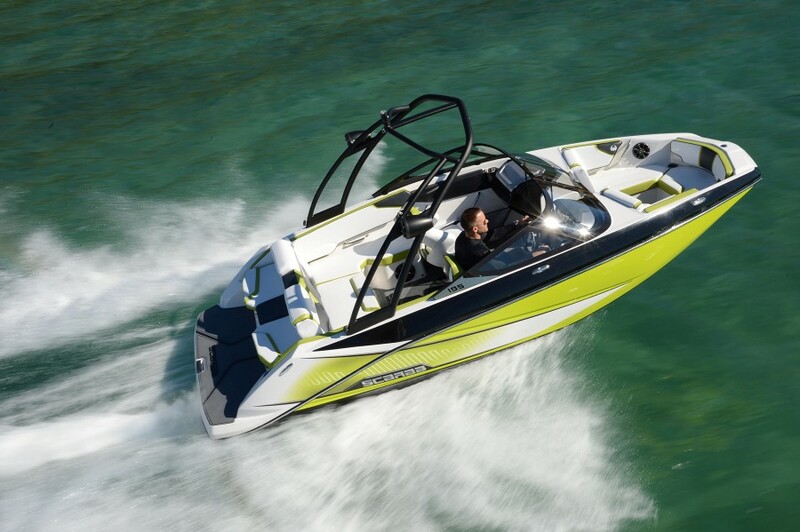 Last week I got a first look at the new Glastron GT245, plus a prototype of the new GT187, another entry into the rapidly expanding jet boat market (see New Jet Boats: A Renaissance is Underway). 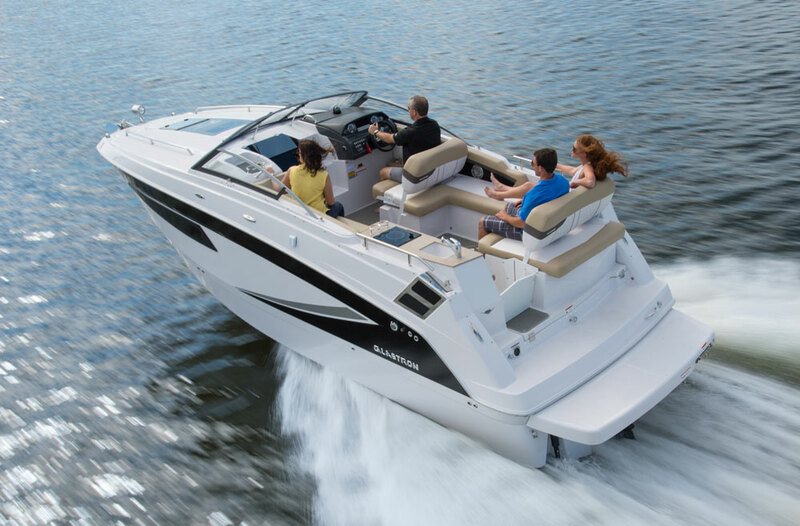 Both boats are part of a 2014 Glastron model line that also includes new Legacy models and the GTX160 and GTX185, two entry-level models designed to attract the budget-conscious buyer. 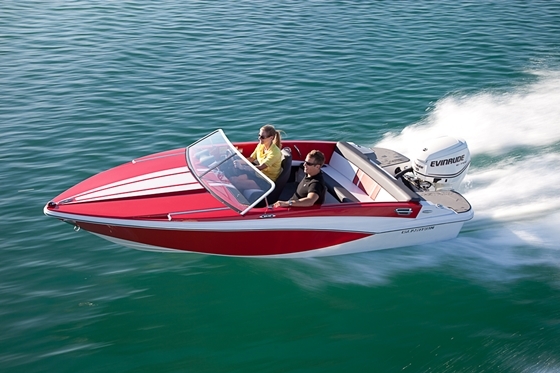 The Glastron GTS245 is now this builder's largest bowrider available. 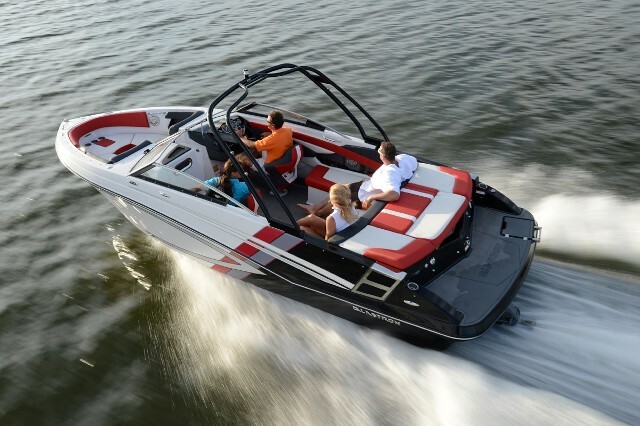 Glastron has been rolling new boats out all year, as Rec Boat Holdings seeks to get the brand it acquired out of the Genmar bankruptcy up and running. 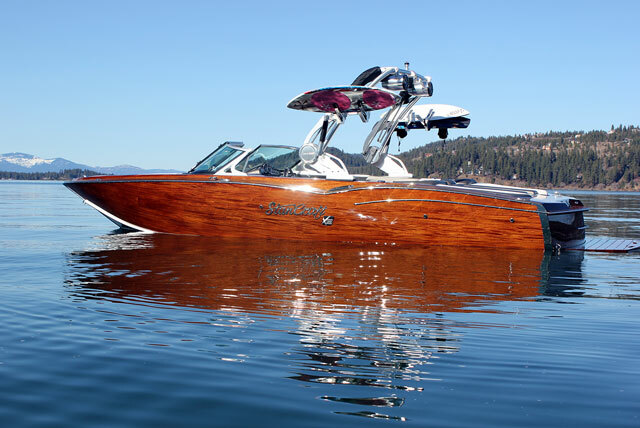 One big challenge that took some time to overcome was the creation of all-new tooling for most of the Glastron models, which had previously been manufactured using the proprietary Genmar VEC closed-mold process to form the hulls. That chore has been accomplished, and Rec Boats is moving forward with more brand-new models like the 24-foot GT245, now the biggest bowrider in the Glastron line. 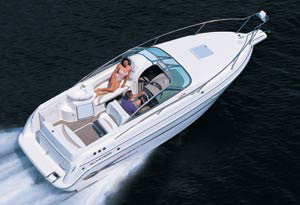 The GT245 features an enclosed head compartment with a sink, a roomy cockpit, and the same multi-position sunpad design we've seen on some other Glastron models. The bow seat bottoms slope aft to provide a more-comfortable lounging posture. This model has a full fiberglass liner bonded to fiberglass stringers, and a Glastron SSV hull that really gets up and runs. A sporty GTS version will also be offered, with more color on the hull sides and upholstery. 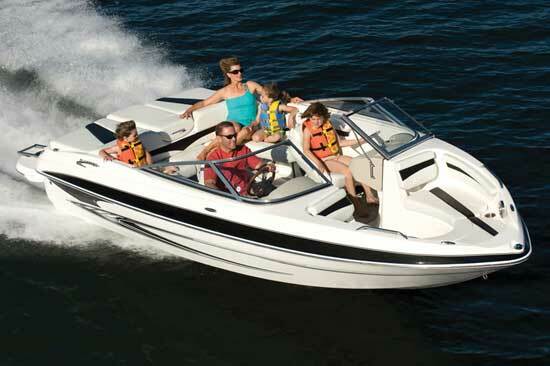 With all the new tooling in place, Glastron is rolling out new models like this jet powered GTS187, at a rapid clip. The GT187 is the first of several jet-powered models Glastron will offer, each propelled by the BRP Rotax 4-TEC 1503 jet propulsion system, now available to other builders since BRP stopped production of its Sea-Doo jet-powered boats. The GT187 is based on the same hull that’s under the outboard-powered GT180 and the sterndrive-powered GT185. The running surface has been revised to accommodate the much lighter weight of the 1.5-liter, three-cylinder Rotax powertrain and its lack of trim. The boat I saw was used for this engineering. Taking advantage of the powertrain’s low profile, the Glastron GT187 has a pair of aft-facing seats flanking a center walk-through to the cockpit. There’s a swim platform area at the base of these seats, plus a standard bolt-on platform extension. From the aft cockpit seat forward, the GT187 is identical to the GT180/185. I got to take the GT187, powered by the 255-hp version of the Rotax engine, for a quick spin and it felt great - accelerating like crazy and running at a nice angle, gripping in turns, and generally behaving very well. Glastron hopes to quell the typical jet-drive noise issue through use of some new lamination techniques and materials, and that’s the next step in getting this boat to production. The new Legacy models will carry the GTL prefix, and it can be inferred that the L also stands for Luxury, as these examples of Glastron runabouts and cuddys will be built with all available options as standard equipment, and styling that’s a intentionally understated. 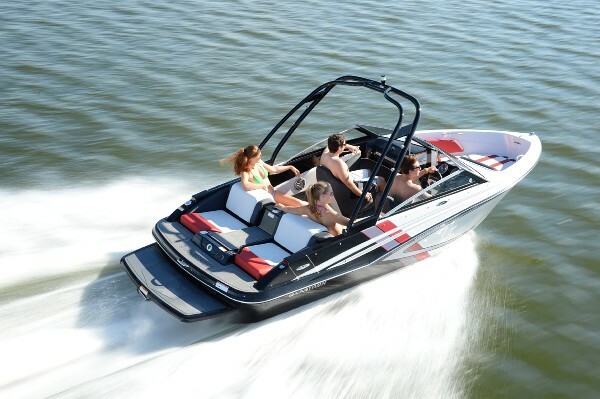 So if we look at how Rec Boats is structuring the Glastron line, the GT models are “base,” the GTS models are “sporty” with brighter colors, the GTL models are fully equipped, and the new GTX models are budget-conscience. There’s also the GTSF for “ski/fish,” which I guess means it has a trolling motor. 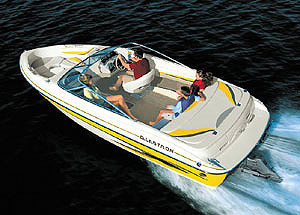 For a look back at Glastron’s 2013 GT 225 introduction, see Glastron Debuts Sports GT 225 Runabout.